I believe that oldies.com has both the series and TV movie for sale. They list only two discs, and neither is the pilot film. "Golden Orbit" and "Hard Water," both originally aired as two-parters. I actually own the "Golden Orbit" disc. It and "Hard Water" were put out by the Sony Pictures Choice Collection. One of those special archival editions since Sony obviously doesn't believe the whole series will sell well enough to make it an official release. If the movie was ABC, there's a chance for a bluray from Kino. They said they have some tv movies from their new deal with Disney. I only saw one episode of the regular series when I was a kid and wasn't terribly impressed. I don't remember exactly what it was about but I seem recall it had something to do with World War II, which wasn't what I expected. I eventually saw the pilot movie when it was shown on TBS sometime in the early '90s and thought it was really fun, but unfortunately the VHS recording I made of it is long gone. I know I watched this show as a kid. But I only remember an episode where they strap one of the spaceship's rockets to an iceberg to move it somewhere. I watched this series as a kid and really liked it. I remember being upset when it got cancelled. I'd love to see the unaired episodes, I wish someone would sell this series on DVD. There were 19 episodes, including the pilot. (IMDB) Now I don't know what ones weren't shown, but I remember watching "Hard Water" from the start of season 2. I remember this tv movie fondly. I would have been almost 12. It caught my spacekid imagination. Thanks for reminding me of it again Chris. 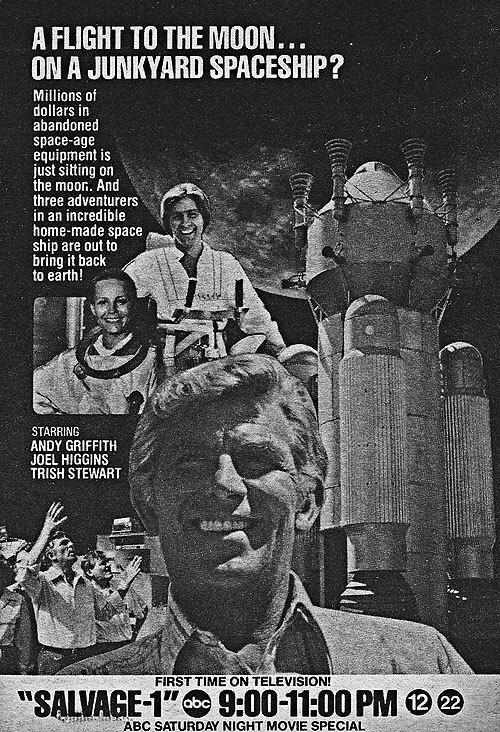 I wish this and The Fantastic Voyage would make their way to DVD sometime soon. I remember one episode with a bigfoot, they used planet of the apes makeup.